Did you know that community Health Centers provide care for over 25 million Americans at more than 9,000 locations across the country? Health centers are community-based and community-directed organizations that provide high quality, comprehensive primary and preventive health care services to some of the nation’s most vulnerable individuals and families. The centers help to reduce health disparities with integrated care management by providing patients with access to pharmacy, mental health, substance abuse, and dental services, as well as health education and transportation services. The Health Resources and Services Administration (HRSA), which manages the federal program, states that by providing healthcare to adult and children living in poverty, patients in under-served rural communities, and veterans, these health centers reduce costs to the system. Spending on high-cost emergency rooms and hospital inpatient stays was reported 24% lower in patients of health centers than in non-health center patients in a 2016 multi-state study. So, this August, check out the health centers programming to see what they do in your community (find the closest center to you here). For reference, below are examples of various community-based efforts in support of National Health Center Week 2017. 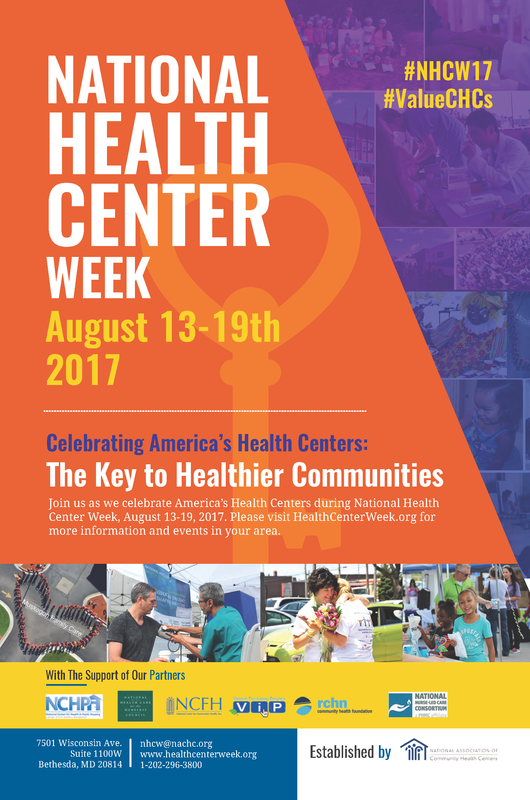 You can also help bring awareness to how these organizations help the underserved in your area by tweeting #NHCW17. This, HCC’s 50th blog post, is a message of celebration. Since we are halfway through 2017, I’d like to share with you some things I am exceptionally happy about and graciously thankful for. One of our goals for this year was to continue to provide high-quality service in the areas in which we excel. As Risk-Based Monitoring (RBM) continues to grow and become accepted as an effective and sustainable study monitoring option, I am grateful to have been able to take part in a panel-discussion on RBM recently in California that was sponsored by Emanate Life Sciences, Collaborations in Clinical Research Series. The focus of the discussion was on what works and what doesn’t work for RBM as we move forward into an era guided by the E6 R2 Good Clinical Practice Guidelines. I started HCC because there was a need for highly skilled technical advisors to serve as liaisons between sponsors and research sites. I am so very thankful that device training and study monitoring have been the backbone of our business and that we have been able to provide high-quality service to our customers to fill those areas of need. Another of our goals this year was to expand our services and to solidify our commitment to process improvement and quality while doing so. We have spent the first half of 2017 focused on finding and filling any gaps in our processes and in our internal quality system. In the second half of this year, we will be announcing expansions in our service offerings to become a full-service, specialty CRO. I’m very excited about the culmination of our team’s efforts into what we have affectionately named our Pillars of Service and hope you will be too. Stay tuned for more information! I’d like to leave you with what I feel is the most important piece of all–the personal connections we make as we travel this road of life. Throughout these last six months, I have seen the power of the connections in our community, and among our staff, employees, and clients to do great things. It is an adventure to build and grow HCC, but more than that, as Bear Grylls once said, “Adventure has always been to me the connections and bonds you create with people when you’re there.” It is my continued hope that HCC can be there with you to continue to make those connections.